Can’t believe it’s already March! This year is whizzing by! I hope you haven’t been fooled by my recent radio silence, for the lack of posts in no way reflects lack of activity. Keep an eye out on the ‘Upcoming Projects’ tab and future posts. 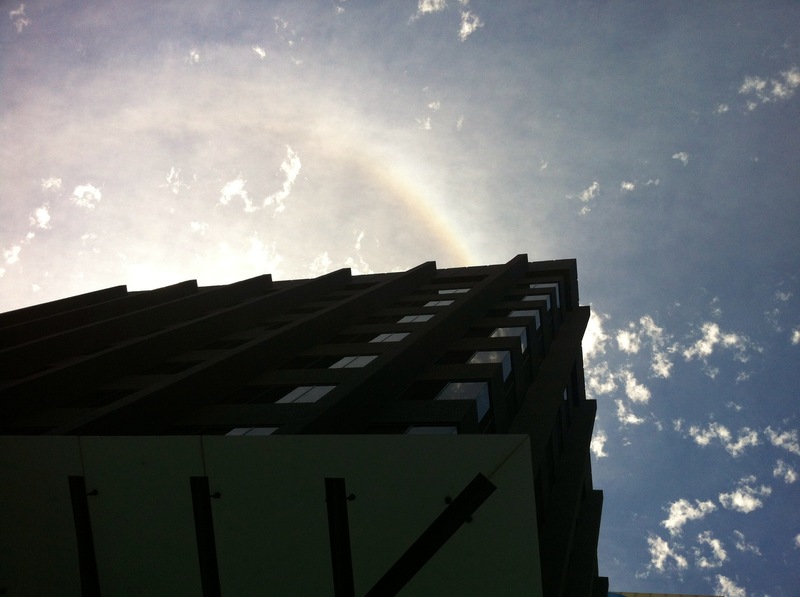 For now, I leave you with a snap of a secret rainbow I spotted on my lunch break today. It was a fleeting burst of colour dancing above a concrete jungle. A reminder to always look beyond your immediate surroundings and appreciate the small pleasures in everyday life.